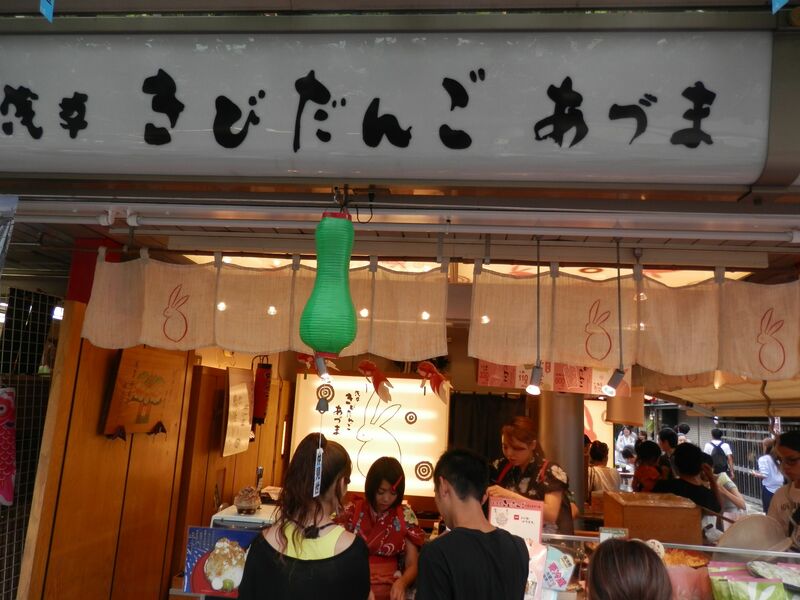 Today, I visited “Asakusa Kibidango Azuma”. It is located on Nakamise street of Sensouji. It seemed the shop was popular since there were so many people in front of the shop. 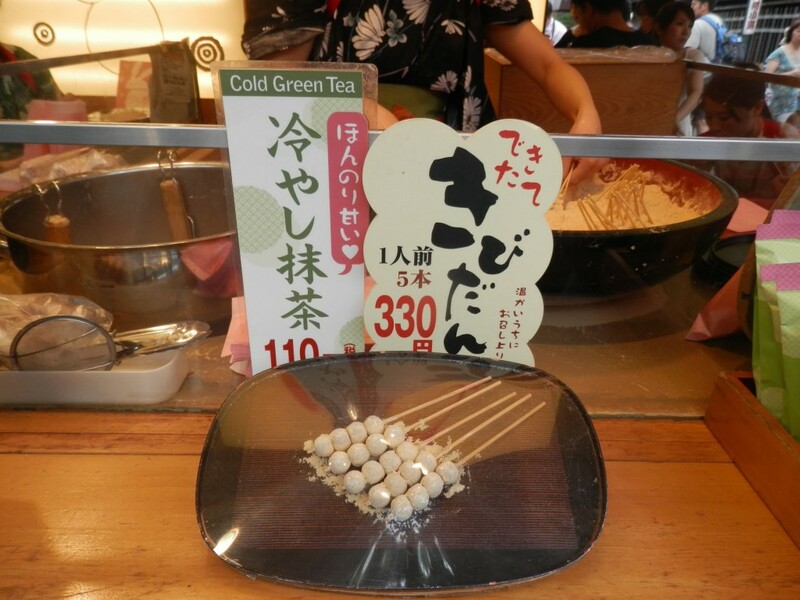 You could have fresh Kibidango (sweet dumpling) which a person in charge sprinkled them with soybean flour in front of you. I ordered 5 Kibidangos (￥330) and a cold Macha(￥110) and went to an eat-in space(at the backside of the shop) with them. 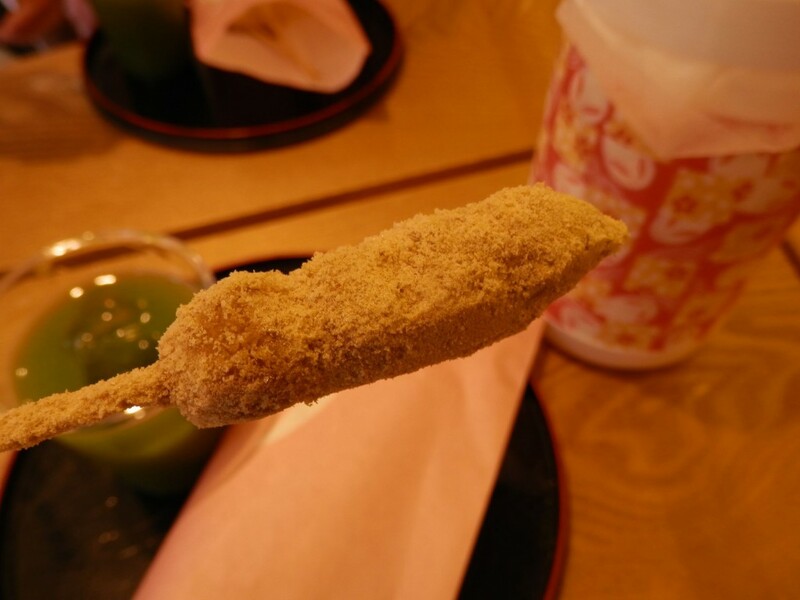 Kibidangos were a little bit warm and soybean flour sprinkled around them was not too much sweet and had plain taste. 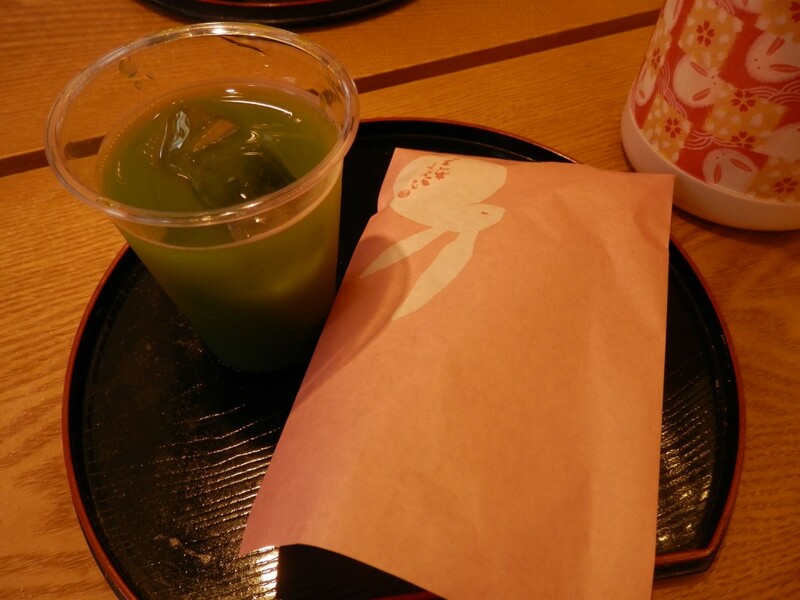 A cold macha was a little bit sweet and was supposed to be enjoyed also by children..
Why don’t you drop in if you would like to take a rest there at Nakamise street.